Happy Quilting: Welcome Superior Threads and a Giveaway!!! Today I am so excited to welcome Superior Threads as Happy Quilting's newest sponsor!!! Superior Threads began part-time in St. George, Utah (yes, a mere 40 minutes down the free way from me, see my all about my latest visit here ;) by Bob and Heather Purcell in 1998. However, the folks there consider 2001 to be their serious start date. The first product they introduced was Superior Metallic. They now produce and sell over 40 different thread lines with more on the way. Superior Threads seeks out out the highest-quality raw materials and use the latest technology in manufacturing and processing to create superior threads for all types of sewing. They really do create a thread for every application you might need. They have just the right thread for hand quilting, piecing, embroidery, upholstery, apparel sewing, or free motion quilting, and the list goes on and on. And every one of those threads come in just about every color under the sun!!! One of my favorite things about Superior Threads is their dedication to Education. If you have a question about thread, they will have the answer, guaranteed!! I had the wonderful experience of attending one of Bob Purcell's Threadology lectures last January. I learned so much and I have drawn on that information several times since!! Superior Threads has so many videos, just like this one, on their You Tube Channel or they can be found here on the Video Section of their website. They really do cover everything you could ever need to know about thread, needles, tension, ect. Superior Threads also has an amazing selection of educational articles. I can not begin to explain how helpful the Tension articles were when we first got the long arm!!! Now of course, Superior Threads is obviously know for their amazing quality and variety of threads, but did you also know they have a Fabric store as well!!! It's called Mother Superior's Fab Fabrics (Love the name!!) and is ran by Heather Purcell. They carry a vast array of manufactures and they even help you to choose the threads that go with the fabric. Bonus!!! And of course, with all of that Thread and Fabric, you are going to need some needles to go along with it!! I have been using Superiors Needles for the Long Arm for a year now but just recently started using Superior Needles for my home machine and and I have to say, I love them!!! They are a top stitch needle that is titanium coated so it stays sharper longer and will way outlast the basic universal needles. I love my Superior Threads and am so happy to Welcome them as my newest sponsor here. I am so excited to have them as part of the Happy Quilting Family!!! 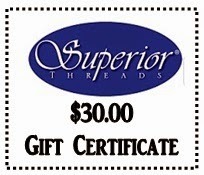 And as part of their welcome debut here at Happy Quilting, Superior Threads is giving away a $30.00 Gift Certificate to one lucky reader!!! 1 - Sign up for the Superior Threads Newsletter and leave a comment here that you did so or already do. 2 - Follow Superior Threads. You can follow them on Facebook, Instagram, Pinterest, Twitter, or their Blog. Pick one or several and then leave a comment of where you are following. I follow Superior Threads on instagram! I love Superior Threads. They are always willing to answer a question and have such a great color selection. I've been enjoying their newsletter for some time now. I'm signed up for the newsletter and the deal of the day. Thank you for the chance to win some great products. I signed up for Superior Threads newsletter. Thanks for that! I am now following ST on facebook. I've heard great things about their threads but had no idea they had fabrics as well. I signed up for the newsletter. Looking forward to getting updates on all their goodness! I'm following Superior Threads on Feedly. Thanks! I have been receiving their newsletter for about 7 years and I love their thread. And the Batiks at Mother Superior's shop are to die for. I subscribe to their newsletter. I did not know all this about Superior, so thank you Melissa. I have been subscribing to their newsletter for over a year now. I get Superior Threads blog posts. I am already signed up for Superior Threads newsletter! I am signed up for Superior Threads newsletter! I just signed up for Superior Threads Blog posts. I'm signed up for the Superior Threads newsletter! Thanks! I just signed up for the Superior Threads Newsletter. I follow ST on FB and Pinterest. I signed up for their newsletter and use several of their specialty threads. 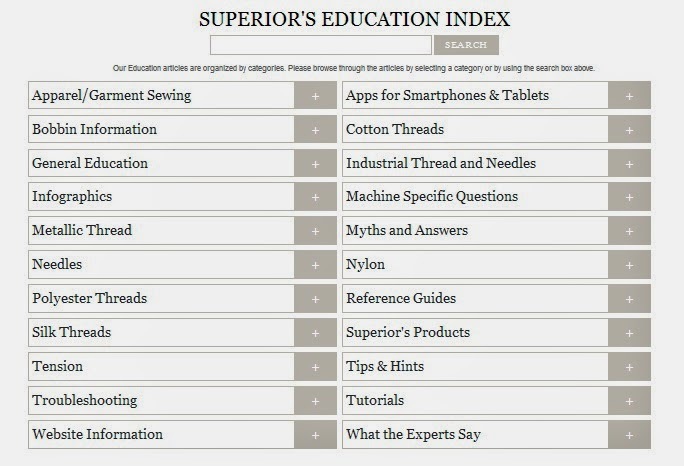 I'm following Superior Threads blog via Feedly. I already receive this awesome newsletter! I am so get ST newsletter. I love the deal of the day! I am already a subscribed of Superior's newsletter and love their products, used for years! They are the very best!!!!! I also follow Superior on Pinterest and their blog! I already receive their newsletter... thanks for the great giveaway. I signed up for Superior Threads newsletter. I already like Superior Threads on Facebook. I LOVE Superior Threads! So Fine #50 quilts beautifully! Then there's So Fine #40 and King Tut.... OHHHHH nothing but eye candy and so nice and easy to work with on my Gammill.I've been a customer and receive their newsletter since November. Dr. Bob's DVD Thread Therapy is a must-have! Loyal follower on Facebook too! thanks for the chance to win! I currently use Superior Thread and receove their newsletter. I follow Superior Thread on Facebook and Pinterest. I already subscribe to Superiors Newsletter. They are great! I love Superior Threads! When I started quilting about 2 years ago I was very confused about which threads to use. I came across their website and videos and learn so much. If I have a question I email them and they are so very helpful. I enjoy the newsletters and Bob's jokes are great! Thank you! I love Superior Threads, and use them almost exclusively on my longarm. I like Superior Threads on Facebook! I have subscribed to superior threads newsletter and other stuffs. I started following Superior Threads on Pinterest. I signed up to follow the Superior Threads blog--I hadn't known they had one, so thanks for the intro! I already follow Superior Threads on FB. I signed up to receive the Superior Threads newsletter. I follow Superior Threads on fb. Thanks for the chance to win! I follow Superior Threads blog posts. I love Superior and follow their blog with Feedly. 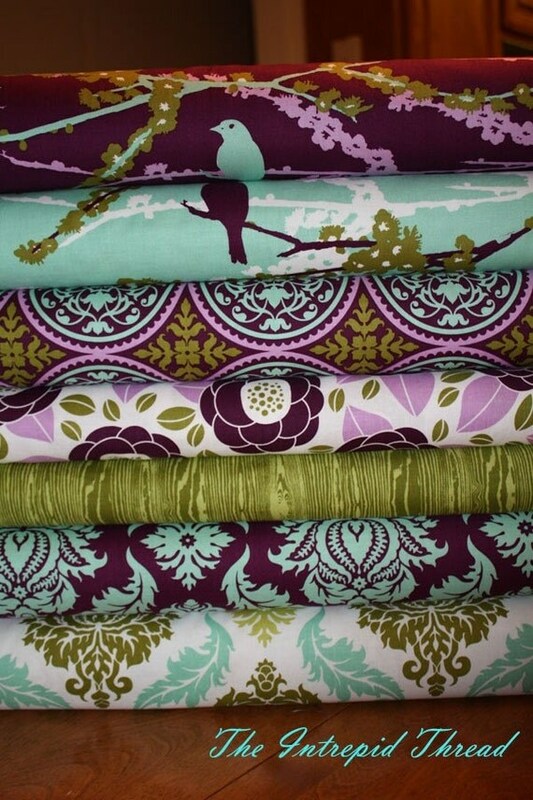 Superior Threads are fabulous and I get their newsletter as well as their 'Deal of the Day'! I get the Superior Threads newsletter, isn't it great? I love the educational component and Bob's jokes... Thanks for the chance in your giveaway! Hi - I get their newsletter! I subscribe to Superior Threads newsletter. I also use their great needles (home machine). I already receive their newsletter via e-mail. I follow them on Twitter and Instagram. I already subscribe to their newsletter. I LOVE Master Piece thread!! I signed up to follow the Superior Threads blog. I signed up for Superior Threads' newsletter. I subscribed to the ST newsletter! Well, isn't this an awesome giveaway?!! I am already getting the newsletter, thanks!! I get the newsletter from Superior Threads already. I am now following Superior Threads on Facebook! I follow on Pinterest and their blog. Like to see them at the AQS show at Lancaster. I'm following on their blog now: and I sew with their needles: they are great!! I already subscribe to the Superior newsletter. Let's try this again.....I recieve your newsletter for the past few years, signed up for your blog, liked you on facebook and on Pinterest. I took your threadology class at guilt a couple years ago. Great class! I signed up to get the blog posts by email. I adore Superior Threads - I started with them when I got my longarm almost 6 years ago!! My Innova LOVES Superior Threads :) I get their newsletters - both thread and fabric! I'm a follower of Superior Threads on Facebook! I've been getting Superior's Newsletter for six years!! 'LIKE' SUPERIOR THREADS ON FB. HAPPY TO FOLLOW SUPERIOR THREADS VIA GMAIL ! What a great give away! I am signed up for their newsletter. Thanks, much! I love their threads! Thank you for the generous give away! WooHoo! I follow their blog on Blogger. I'm already receiving the Superior Threads newsletter. Thanks. I'm a follower of Superior Threads on Facebook. Thanks again. I signed up for Superior Threads newsletters (all three) today. Thanks for the chance. I subscribed to the Superior Threads newsletter. I liked Superior Threads on Facebook. I have been getting the Superior Threads Newsletter for a long time. I get the newsletter! Thanks for the chance. I already get the newsletter...love the jokes and their thread! I'm a new follower on Facebook and Pinterest thanks! I am signed up for the newsletter, looking forward to it! I'm following Superior Threads on Facebook. I follow ST via email and on Facebook. Thanks for the giveaway! I've signed up for Superior Threads' newsletter. I love their thread - thanks for the chance to win. I follow Super threads on FB! I follow Superior Threads on FB. thanks for the chance to win the giveaway. I am following Superior Threads on Pinterest. I signed up for Superior Threads newsletter. Thanks! I follow Superior Threads blog. Thanks. I've been getting the Superior Threads newsletter for awhile. I love the education and Bob's humor! Thanks for the giveaway! I follow Superior Threads on Facebook. Thanks again! I have been a long time follower of Superior on fb, Pinterest and have been receiving their newsletter! I have been following on FB. Thanks for the chance. I started following their blog. I already get their newsletter and have signed up for their blog. I subscribed on ST newsletter. I also like their Facebook page. Thanks for the giveaway. I followed Superior Thread on Facebook. I signed up for the Superior Thread newsletter! I already follow Superior Threads.